SDORC Monthly Meetings are held at 7:00 pm the first Tuesday of each month, unless that falls on Election Day or a holiday. In that case the meeting will generally be held on the following Thursday. Check our Web site to confirm. Our meetings are open to the public. 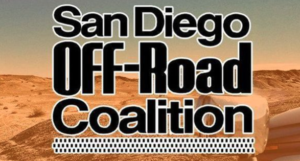 Come out and join us for an interesting evening, filled with information that concerns all off-roaders and everyone who wants to see public lands kept open to the public. The meetings are held at the Ranch House Restaurant in Santee. Dirctions: Driving north on Hwy 67, take the Riverford exit and turn right on Woodside Ave. Driving south on Hwy 67, take the Riverford exit, turn left on Riverford, and then right on Woodside. The restaurant is down about one-half block on the right. For those wishing to join us for dinner and bench-racing, we gather starting around 6:00 pm. You may order from their regular menu, which offers a great selection. The meeting proper begins at 7:00 pm.